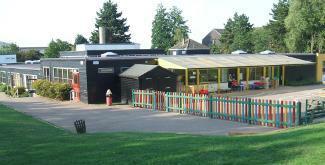 Limes Farm Infant School and Nursery is part of the Epping Forest Schools Partnership Trust, which is a Multi-Academy Trust formed by this school with 14 other schools in the Epping Forest District. This School and Nursery caters for children from the ages of 3 – 7 years (Foundation Stage and National Curriculum Key Stage 1). Children enter the Nursery after their 3rd birthday. They enter the Infant School in the September of the academic year in which they are 5. We have been consistently graded as a ‘Good’ school by OFSTED, the latest inspection being in November 2018. Of course a web site can only give you a slight glimpse of our school. There’s so much more! Please telephone 0208 501 1115 to make an appointment to visit when I shall be pleased to show you around.